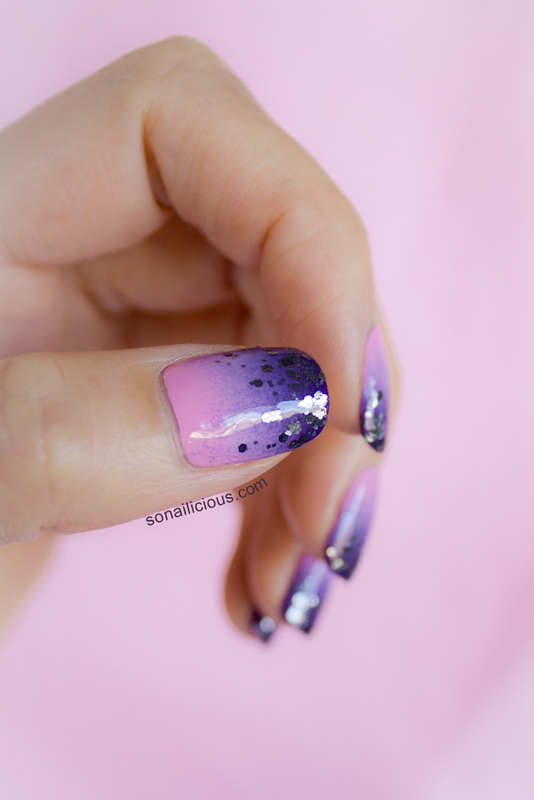 The glitter gradient we’re showing you today was a result of experimenting with these ombre nails. 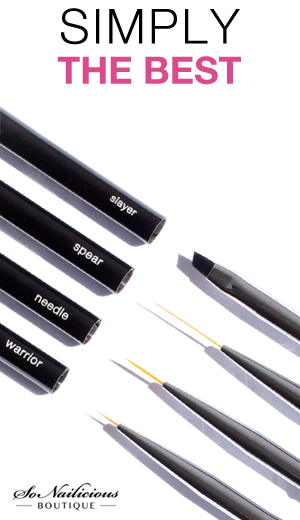 One of the major trends in nail art right now is layering different effects over each other. 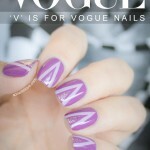 Ombre nails can be used as a great base for tribal or striping tape nail designs. 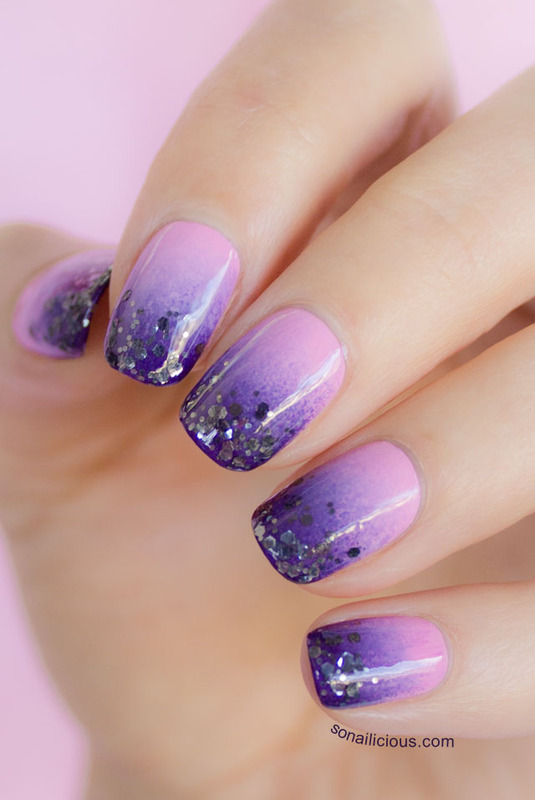 In our case, we went with one of the easiest, but still impressive looking nail designs – glitter gradient over ombre. Plus, we were dying to try the new gunmetal glitter, ORLY Atomic Splash from the ORLY Flash Glam Winter collection. Ombre reinforced with the dark, super shiny glitter made our nails look like tiny jewels! Do ombre nails as usual. Let them touch dry. Seal your manicure with one or two layers of top coat. *Most ORLY Flash Glam glitters are perfect for gradient nail art. Some other brands require a sponge or glitter placement (individual glitter particles picked up and placed where needed). 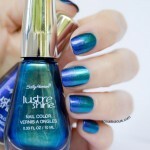 Used: Orly Nailtrition as a base coat, Fing’rs Ombre Kit, ORLY Atomic Splash, Sally Hansen Diamond Flash top coat. 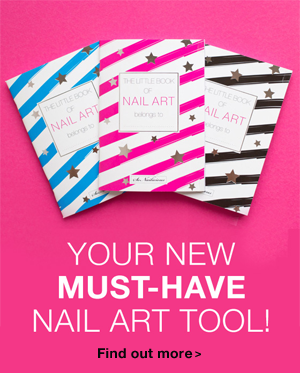 What about you dear nailicious comrades? Do you like glitter gradients? If so, what are your favorite colour-glitter combinations? Make sure you show it to us by tagging your nail art #sonailicous on Instagram/Twitter.